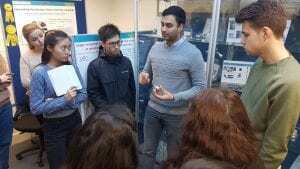 Billy Dennis, Teaching Fellow in UCL Medical Physics and Biomedical Engineering, has written a blog post for the UCL Teaching and Learning blog about how he developed a new module on the distance learning MSc that enables Distance Learning and London-based students to work together to invent a new medical device, and produce a full business plan to bring it to market. See the full report. Over the summer I was lucky enough to be given a leading role in an 11 week research project working with Dr. Robert Cooper, Dr. Hubin Zhao and Dr. Sabrina Brigadoi on a fibreless Diffuse Optical Tomography (DOT) system. DOT is a novel imaging technique that has a wide variety of applications in neuroscience and clinical research. Specifically, using DOT to investigate neonatal brain development is a very important focus. Cerebral haemodynamic patterns in brain injured neonates is not well understood. Complications at this vital stage of development can result in critical danger to the patient and long-term disabilities. Further investigation into these complex haemodynamic signals is necessary to better understand the underlying physiology and to develop DOT into a novel imaging tool that could help diagnose and treat compromised infants . Current DOT technology is limited by bulky fibres which limit comfort, movement and ease of use. Transforming the current DOT systems into wearable, fibreless devices is a vital step in the development of DOT technology . This advance will enable long term clinical application of DOT, improve data quality and make the instruments viable in a wider range of applications. However, transforming the bulky wearable DOT modules into a fibreless wearable comes with challenges. This investigation aimed to minimize motion artifacts with fibreless systems. While there are post processing methods of tackling motion artifacts , they alone are not enough for fibreless systems. Our novel approach has been to develop the application of motion sensors specifically for this type of movement and add them to the current fibreless systems to build the world’s first dataset of fibreless DOT and 9 axis (3x accelerometer, 3x gyroscope and 3x magnetometer) motion data. We decided to focus our investigation on the effect of forced induced movement on DOT data. We introduced two 9 axis motion sensors along with 2 DOT fibreless modules each containing a 9 axis motion sensor. Our experiment paradigm consisted of controlled head, eyebrow and full body movements. 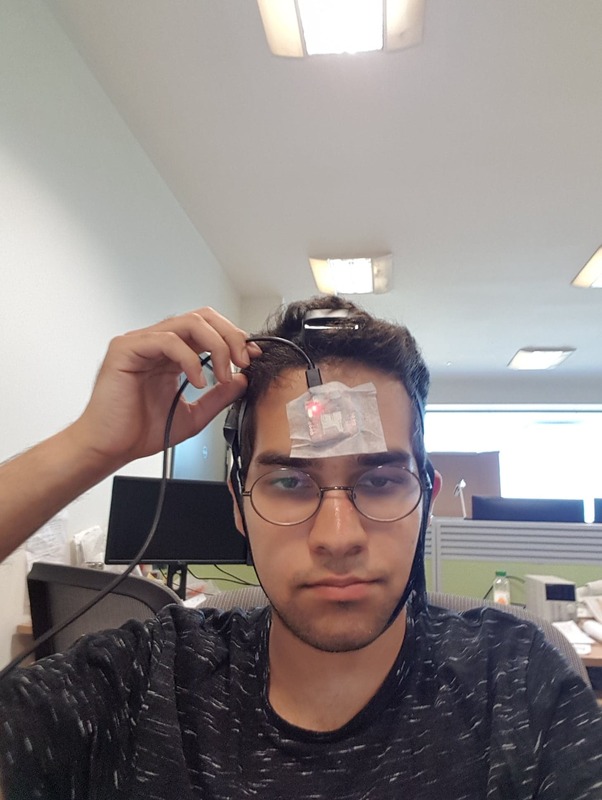 After many considerations, we purchased two Razor 9DoF motion sensors containing the MPU_9250 Invensense chip which is the same sensor used on the DOT modules. I was able to match the operating conditions of the chip with the DOT chip by writing my own code in the Arduino IDE and MATLAB. This would ensure data acquired from both sensors could be accurately compared. Due to the DOT modules being standalone devices, I also had to figure out a way of mounting everything (the two DOT modules and the two motion sensors) in a comfortable way. 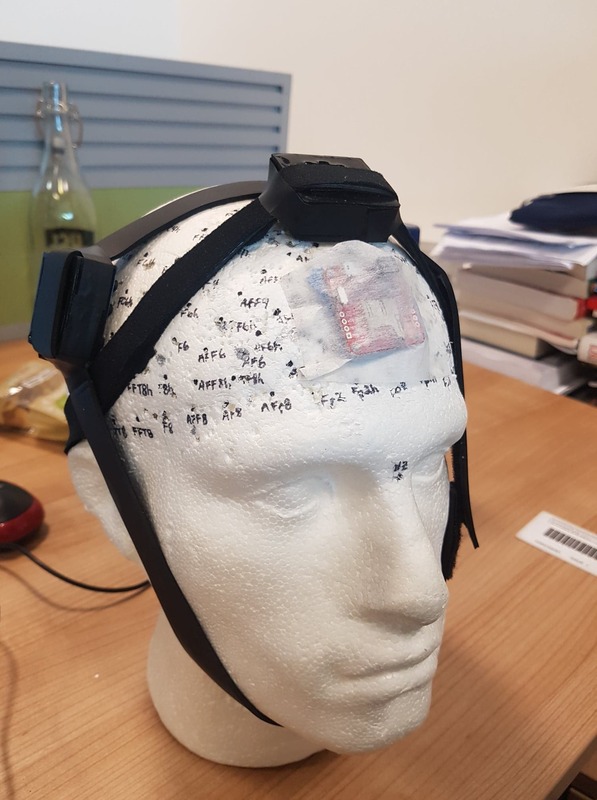 After a lot of experimentation and time in the Institute of Making, I managed to build my own headgear system which kept all the sensors completely independent of each other. The DOT modules were secured using separate sewn velcro and rubber band straps while the motion sensors used adhesive tape placed directly on the scalp. Finally, all this preparation was for the experiment paradigm itself. We eventually decided we wanted to investigate the effects of eyebrow movement (this has not been explored and previous pilot studies showed large eyebrow related artifacts), the effect of scalp movement compared to head movement and induced head movement along with walking and designed a paradigm accordingly. Within each block, chirp noises of decreasing lengths were used. When the subject hears the chirp, they must move their head throughout the chirp, this way we can control the speed of movements. Varying the speed of these movements is useful because is allows us to look at relationships between the sizes of motion artifacts and the speed of movement. The speaking section was done with words of varying syllables for the same reason. The timing of eyebrow movement was controlled by a simple tone sound rather than a chirp, because it is difficult for people to control the speed of eyebrow raises. Additionally, I created a MATLAB script which would efficiently run everything with one press of a button using parallel computing. This massive streamlining of the whole experimental procedure will make studies synchronised and far easier to run. Our aim in the first term is to use my experiment to run multiple studies on a variety of healthy adult volunteers. Our initial conclusions show that more investigation into 9 axis data with fibreless systems is clearly justified. 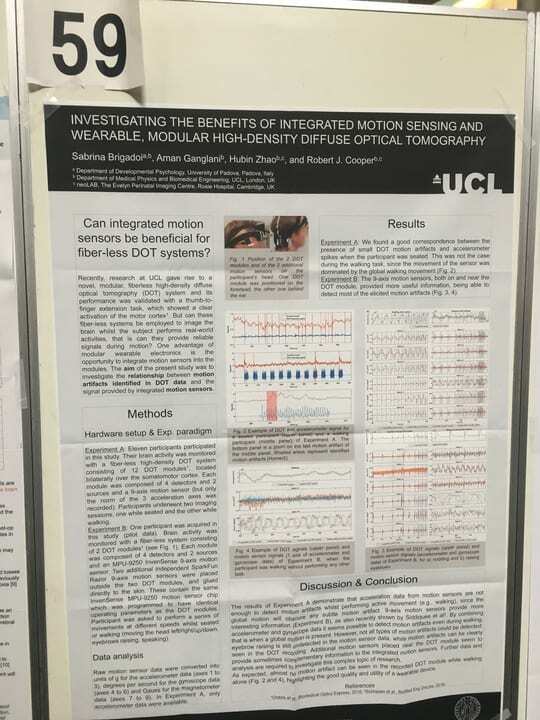 I was able to help publish a poster which was presented at the fNIRS 2018 conference in Japan titled ‘Investigating the Benefits of Integrated Motion Sensing and Wearable, Modular High Density Diffuse Optical Tomography’, of which I was an author. This has been an incredible experience. In 11 short weeks, we have managed to build and execute an experiment paradigm which has never been done before. I have been exposed to real research and have obtained a publication under my name by having my work presented at a conference. I will continue to work with the team throughout the first term. I would like to thank Dr. Zhao, Dr. Brigadoi and Dr. Cooper for their never-ending patience and commitment. They have exposed me to world-leading research and have given me an excellent insight into the life of an academic. 1 Cooper RJ, et al. Transient haemodynamic events in neurologically compromised infants: a simultaneous EEG and diffuse optical imaging study. Neuroimage (2011). How do you let steam out of you kitchen if the only window is behind the kitchen sink and, as an octogenarian you can no longer climb on the work-surface to reach the handle? 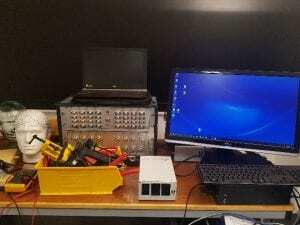 We gave our second year biomedical engineers one week to find a solution. At first it seemed trivial – just put a hook on a stick… but then they met the 87-year old client and realised that wielding anything much heavier than a cup of tea was going to be a problem, and she would like to be able to store the aid on the kitchen work surface. … and don’t forget the screw on the bottom bracket which is needed to stop the open window flapping about in the breeze. By Friday afternoon all the student teams had a device which they could use to open the window, and were waiting in trepidation for the client to test them out. “Bit heavy”, “nicely finished”, “easy to use”, were some of the comments heard. Different solutions were found to the issue of weight, from using intrinsically light bamboo to strategically shaping wooden planks to reduce their weight, to not using a pole at all – just use pulleys. Seven different ideas from seven teams. During the week students put into practice skills they had learnt in other modules – included user-centered design, and the practical implications of material choice. They also learnt new skills as they made good use of the tools in the biomedical engineering teaching laboratory and in UCL’s MakeSpace. This project is inspired by the work of REMAP, a national charity specialising in custom making aids for elderly and disabled people, where no suitable aid is commercially available. UCL staff and students have recently set up a REMAP-affiliated group Impactive. Volunteers from both organisations gave an inspiring talk to the students at the beginning of the week, and it sounds like they have gained some new volunteers: Biomedical Engineering students putting their skills to good use even before they graduate – well done and keep it up. Over the summer I was lucky enough to undertake an eight-week research project in the Biomedical Optics Research Lab (BORL) with the research group focusing on diffuse optical tomography. Using data acquired from simultaneous electroencephalography (EEG) and diffuse optical tomography (DOT) measurements from the NTS system (developed by Gowerlabs), we looked at the relationship between cerebral blood flow and seizures in neonatal infants with hypoxic ischemic encephalopathy (HIE). This work follows a previous investigation by the group titled ‘Mapping cortical haemodynamics during neonatal seizures using diffuse optical tomography: A case study’ . The data analysed in this study is from the same patient as the previous investigation. Most of my work was done in Matlab. By employing various statistical tests and by creating my own scripts with the help of the department I further understood the relationship between neonatal seizures and cerebral haemodynamics. Through my own investigation and discussions with the DOT team in formal weekly meetings, I was able uncover patterns and identify further research topics. A lot of my work was concentrated on the relationship between oxy/deoxy haemoglobin (HbO and HbR respectively) and the spikes on the EEG which indicated seizure like activity. I was able to demonstrate the HbO signal leading the EEG signal through cross correlation tests and visual inspection. I was also able to show evidence of the ‘initial dip’ phenomenon and understood why it remains to be controversial given how it was not seen in every seizure (the ‘initial dip’ phenomenon is observed when there is a dip in HbO prior to a seizure). We also found other time correlations with HbR which warrants further investigation. I ran various other statistical tests such as t-tests to validate my results. Along with this, I also looked at the derivative to investigate if a sudden change in the EEG correlates to a sudden change in haemoglobin levels. Given how I previously found a time lag between the haemoglobin signals and the EEG signal, it came as no surprise that there was no direct correlation without a time lag. I also identified further research topics such as investigating the phase difference between the HbR and HbO signal along with further statistical tests that could be employed on more datasets. All of my code was commented on to specifically allow for other people to continue my work. Along with the analysis work I was also able to visit the Evelyn Perinatal Imaging Centre at Rosie hospital in Cambridge. This was where the patients were scanned with EEG and DOT, and I could see how the devices built in the university were tailored to a hospital environment. By then attending meetings with neoLAB. I understood some of the challenges faced by engineers to connect their products with hospital staff. I was also able to do some brief work on image reconstruction which gave me an exciting scope to the future of DOT imaging. I would like to thank the Engineering department for this amazing opportunity to be a part of this phenomenal project. Everyone at BORL has been incredibly friendly and approachable. A special thanks to Ms Dempsey, Dr Cooper and Dr Hebden for their never-ending support. This opportunity has given me a fantastic insight into the world of research and I look forward to being a part of it. Figure 2 – Laura Dempsey and me with the NTS kit. During one of my study sessions in the IoE library, I came across a banner promoting “The Laidlaw Leadership and Research Programme”. Curious to know more about the scheme, I googled it and I started reading more. It took me two minutes to fall in love with it: two summer research-projects fully funded, a series of training workshops of the theme of leadership and ambassadorial work in different universities across the UK. It was undoubtedly a fantastic opportunity for first years and I didn’t think twice before apply! 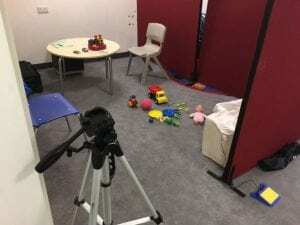 I went to special schools to help other researches run an Autism Diagnostic Observation Schedule test (ADOS), which is the standardised measure for assessing autism. Having nev er been in contact with autistic people in my life, this experience was fundamental for me to see with my own eyes who I was working for and to elucidate what the ultimate aim was: to improve the quality of life of autistic people. I also had the chance to talk to teachers and discuss more about the advantages of being in a special school, where each child is thoroughly followed and sustained during their learning process. The picture shows the setting of an ADOS: participants were asked to play with different toys and their responses were noted down and later assessed by an ADOS-trained expert. I contributed to the organisation, planning and running of CRAE’s research initiative and public engagement science workshops; Brain Detectives. 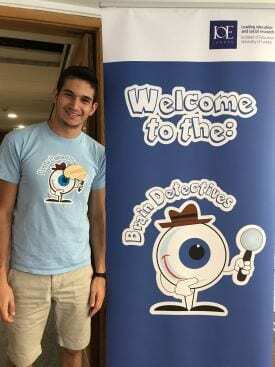 Brain Detectives invites children and young people to take part in half-day workshops within the research lab where they engage in fun, interactive activities, designed to help them explore how the mind and brain work, whilst also participating in real psychological research. The event ran for six days, with two four-hour sessions (morning or afternoon) scheduled per day. During these sessions, I was responsible for leading the collection of my own research project data, to investigate whether autistic and non-autistic young people who took part possessed an enhanced perceptual load capacity by running a specially designed research task. Essential to the success of the workshops, is a team work ethos and I also contributed to many other aspects of the sessions, including meeting families, helping other researchers run their tests, and co-creating and delivering workshop presentations and activities. This is me (!) next to the fantastic Brain Detectives banner. Please, note the wooden badge on my t-shirt – directly from the Institute of Making! I secured and electronically stored all the data that I collected, to then perform statistical data analysis to confirm the hypothesis raised in the research question. In order to do so, I have been trained on how to use the statistical software SPSS-Statistics to run correlation, regression and normality tests. Owing to the success of my project, I agreed with my supervisor to write a final report of approximately 5000 words, following the format Introduction, Methods, Results and Conclusion. I was able to write a literary review for the Introduction and the Methods of the experiments even before the beginning of our testing, but I had to wait until the end of our testing sessions to write up the Results and Conclusion. 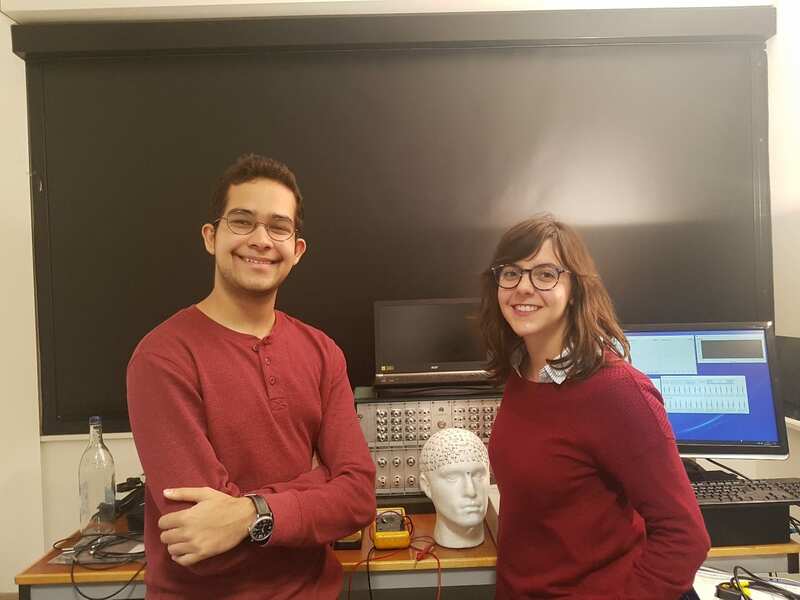 The experience I had at CRAE is simply invaluable: researchers were very supportive and able to help me whenever I struggled, the environment was always very professional and motivated me to work harder and harder and, last but not least, I had so much fun with my colleagues outside working hours. If you are interested in a career in academia or if you are looking for a research experience in early stages of your academic career, the Laidlaw scheme is definitely what you are looking for. Personally, I am now even more convinced that what I want to do in my future is pursuing an academic career. 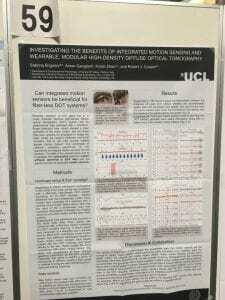 I was luckily able to attend the fNIRS UK conference free of charge on the 7/09/17. For those of you who are not familiar with fNIRS, functional near infrared spectroscopy and its subgroup DOT, diffuse optical tomography, are exciting brain imaging technologies. 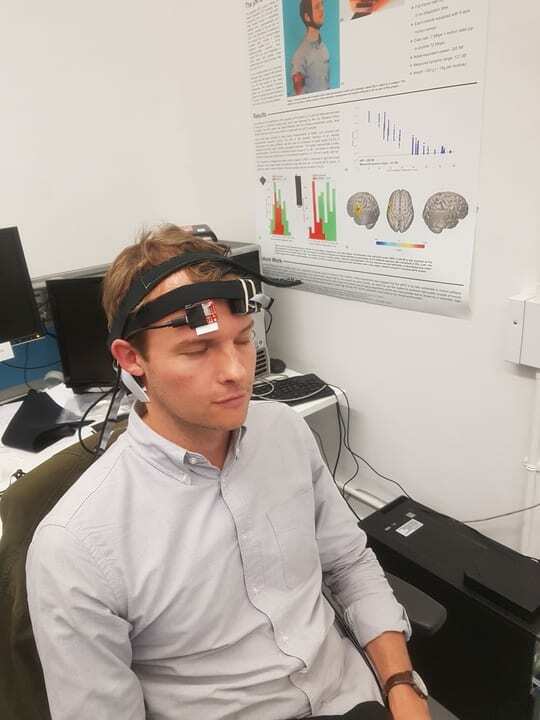 They provide functional imaging by measuring the haemodynamic response associated with neuron activity and can be safely used at a patient’s bed side. The proceedings opened with the first keynote speech delivered by our own head of department Jem Hebden, this interesting talk explained the some of the key differences between fNIRS and DOT and several of the challenges and benefits of designing DOT systems. 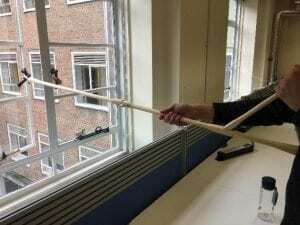 The long history of the development of this technology at UCL was also explained. Eight other talks followed illustrating the wide-ranging capabilities of this technology; varying from using to evaluate human computer interfaces, developing an optical biomarker of brain mitochondrial function and assessing the plasticity in the neural representation of language. 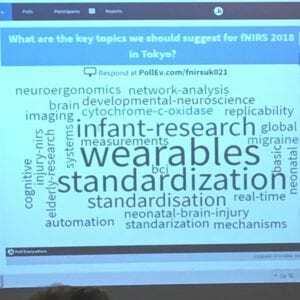 I found the second keynote talk of the day by Mr Daniel Leff particular interesting, the talk covered how fNIRS could be used to not only monitor the patient but could also be used to track the surgeon. By monitoring surgeons, the neurological differences between trainee, registrar and consultant surgeons could be spotted when undertaking different tasks, as true mastery of a skill was obtained the mental exertion required to perform this task was greatly produced. This could therefore be used as an assessment for consultant status, allowing a move away from the traditional training system of becoming a consultant after a certain amount of years of training. Ensuring people only reach the pinnacle medical role once they have truly mastered their surgical skills. 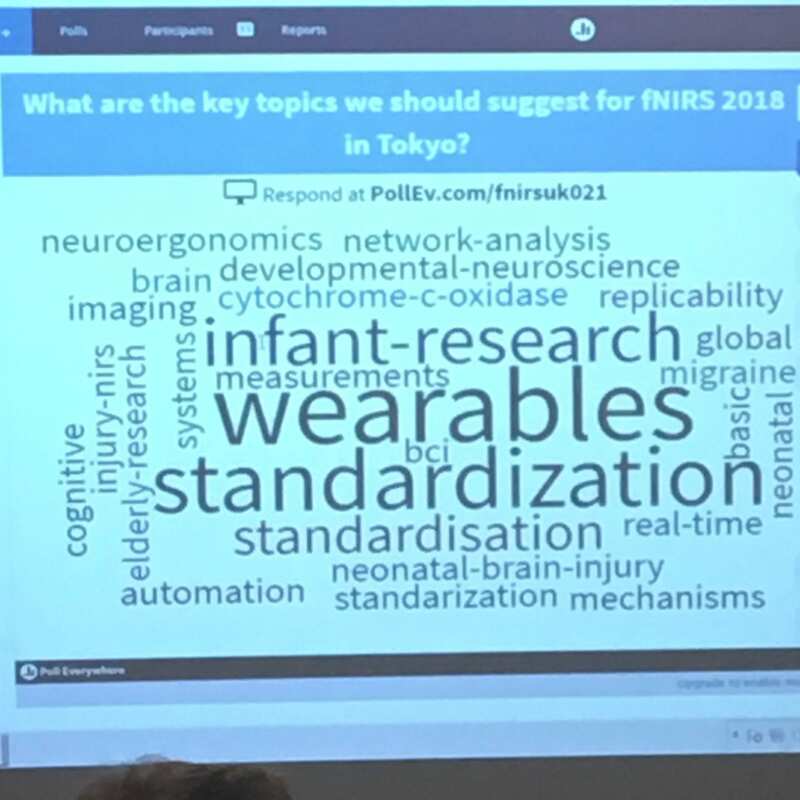 The conference closed with a humorous interactive session on the attendee’s thoughts for the future of the technology and possible talking points for the 2018 Tokyo meeting. 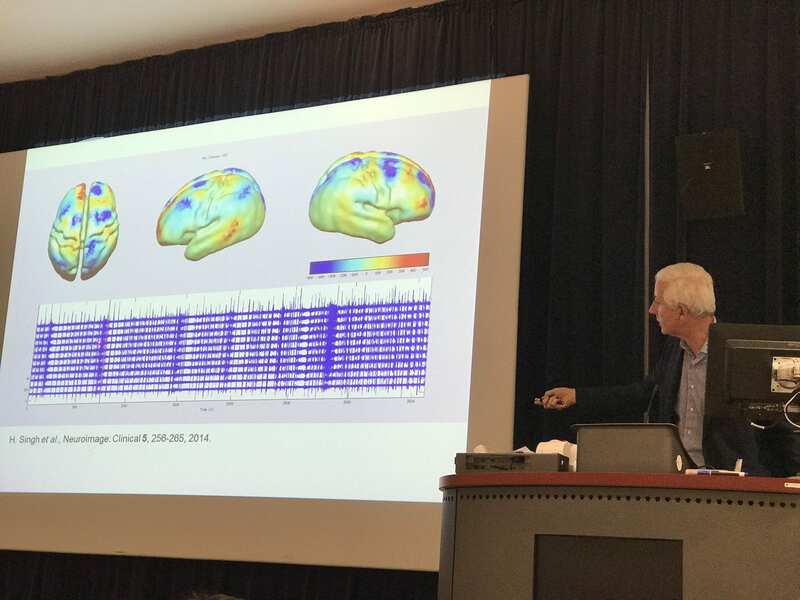 Overall, I had an interesting day learning about additional uses and developments of fNIRS/DOT and would like to say a thank you to all the speakers, sponsors and the programme/organisation committees for making the conference possible and free of charge. A closer look into Mummies and Phantoms! In this x-ray fluorescence imaging research project, we imaged and analysed both mummy cartonnage and phantoms using a portable handheld x-ray fluorescence (pXRF) machine, borrowed from the Institute of Archaeology at UCL. as part of a Deep Imaging project funded by the Arcadia Fund. It was important to characterise the pXRF to suit the application. We found that the pXRF settings in ‘SOIL mode’ reflected our application the best. The pXRF can detect the elemental composition (to parts per million) in the region of interest. 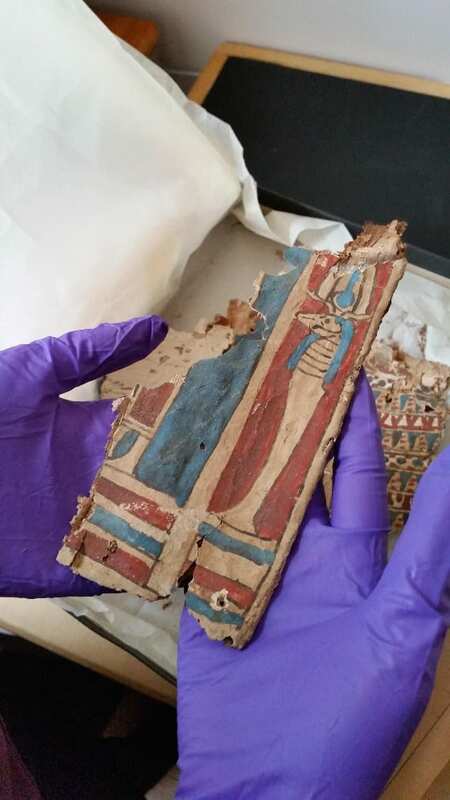 When we imaged cartonnage lent by the Petrie Museum, we found that the blue pigments were made up predominantly of the element Copper (Cu) at ~15,200ppm (1.52%). By investigating the types of pigments used by Ancient Egyptians, we could see that this blue colour most likely originated either from Azurite or Egyptian Blue which have a chemical composition of Copper(II) Carbonate and Calcium Copper(II) Silicate respectively. Similarly, the red pigments were found to be made up of 19,700ppm (1.97%) of Iron (Fe). This suggested the pigment was either Haematite or Umber. Test phantoms are a great tool to compare the effects of different imaging techniques. For this project, we used four existing test phantoms that were created with known properties by team member Kathryn Piquette – in this case the composition and placement of inks were predetermined. The pigments were iron oxide ink; iron gall ink; carbon ink; and Indian ink. 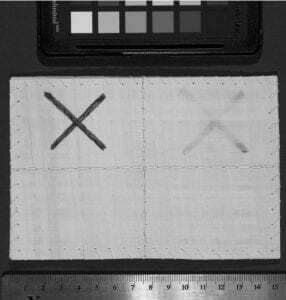 The phantoms were imaged with the pXRF to identify and validate the presence of these inks. During the testing phase, we found that the pXRF could detect Fe in the iron oxide and iron gall, but failed to detect the element carbon in the carbon ink and the Indian ink. This is because the carbon was out of the detection range of the pXRF system. Therefore, any carbon in mummy cartonnage will need to be identified by different methods of imaging. By imaging the phantoms, we could quantify the concentration of the pigments with respect to the thickness of the sample. Since the placement of the inks varied across the four quadrants of the phantom, it meant that we observed a reduction in concentration for the iron oxide and iron gall phantoms as the number of layers of papyrus above the ink increased. Additional tests with further layers of modern papyrus above the phantom resulted in a conclusion that it took approximately 9 layers of modern papyrus above the ink before which the pXRF could no longer confidently detect the concentration of Fe. Using the pXRF as an imaging modality could prove useful in many cultural heritage studies due to its portability and non-invasive nature. However, efforts must be made to further calibrate the system so that it can be used specifically for such an application. Moreover, since the pXRF is currently a qualitative technique, in the future, we should look to achieve quantifiable results by devising the optimum methodology for pXRF imaging in cultural heritage. How to make the assessment of group work better? The Individual Peer Assessed Contribution (IPAC) Consortium aims to develop a tool for the fair and effective peer assessment of individual contribution in student group work. This Consortium was started by Pilar Garcia Souto after the UCL Teaching and Learning conference 2016, and the initiative has attracted members of staff from 20 different departments. 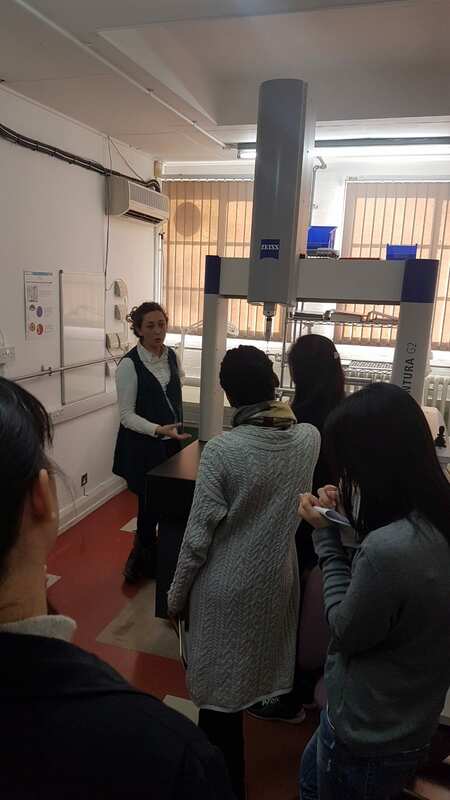 Initially we were drawn to the project as it would provide us with invaluable experience of working with both students and professors in our and other departments, and has the capability of influencing a large number of students. For us, we could contribute to an academic research project which would provide us with knowledge of organising focus groups and collecting data to analyse in an advantageous way. Also the ability to impact the department, and quality of education at UCL, during our time here is appealing. During our studies, we have had negative experiences in group work and were drawn to the possibility of expressing our problems and been part of the process of solving them; this in turn would provide with a level of understanding of how academic institutions are run. Personally, we feel like we will contribute primarily by gathering information. We believe if we speak to a large number of students, their view and comments may be more honest speaking to another student rather than a member of staff – increasing the reliability of the data collected. From our own experience, we found that during group work people did not contribute evenly, but due to small class sizes we could not raise the issue in a fair way. If the complaint was addressed, a problem arose of our lecturers not knowing how to deal with this which seemed unfair. Therefore, we would like to be part of the system to change this. Also we can recommend the level of advice the student’s will require to assess appropriately. Since we started, we obtained a Change Makers project in which we are working along another 4 students from EEE, as well as Dr Ryan Grammenos, Mira Vogel and Pilar Garcia Souto. We have also co-authored a presentation at the UCLU Education Conference 2017 and reviewed one possible system (Teammates). Finally (so far) we have run two focus groups with over 27 students in total and free pizzas. It is evident the main benefit of our contribution to the IPAC Consortium is to obtain students’ perspectives on the preferred and fair method of assessing group work, as well as their views on different platforms aiming to identify one that has a friendly interface and that students find easy to use. The outcomes of this project will inform the IPAC Consortium and their recommendations, will have a direct impact on student motivation as they are aware their individual effort is assessed. In turn, this will benefit us, our department and UCL as a whole. You can find more details of the project and the IPAC Consortium in the wiki! Time flies fast. 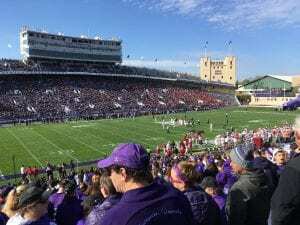 It is such a cliché, of course, but here I am, starting my third and last quarter at Northwestern, finding it hard to believe my third year of university spent abroad is going to finish so soon. The quarter system at NU, similar to the term system we have at UCL, definitely keeps everyone constantly busy and insensitive to the passing of time, with each quarter filled with homeworks, projects and exams. As an exchange student I am allowed to take any classes I like and the school itself is certainly an intellectually stimulating environment. 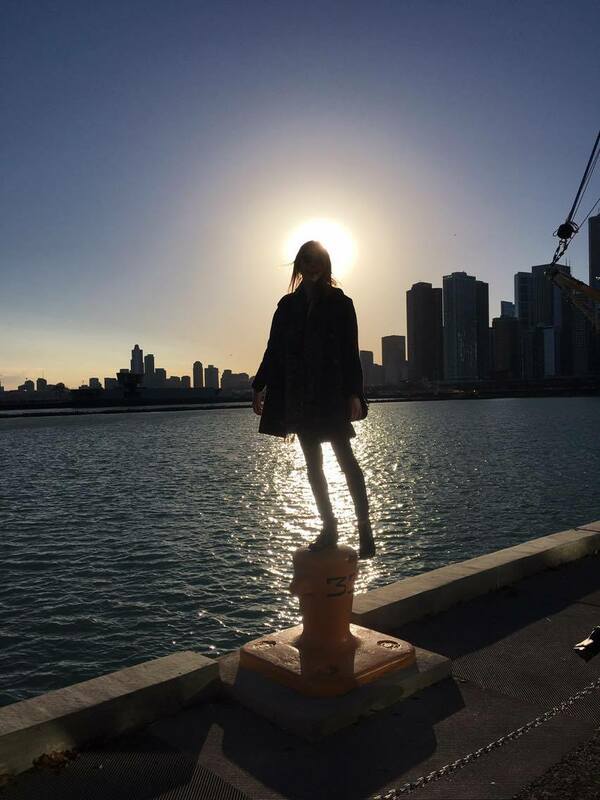 I have really enjoyed this freedom of choice – I was able to do a lot of programming, an amazing mechatronics class, and a biomedical robotics class full of guest lectures from field experts working at Rehabilitation Institute of Chicago (RIC), the best rehabilitation hospital in the US, affiliated with Northwestern. My own design project this year involved cooperating with clinicians at RIC in order to develop a system for quantitative evaluation of Parkinson’s patients with the use of Kinect; some of the BME classes also take place there. The BME department itself at NU is quite big and focuses not only on mechanical and electrical engineering but also on biological concepts such as regenerative engineering or drug transport. Students have a lot of flexibility in choosing classes and often do non-engineering ones as well, including literature or dance. And BME as a major is well respected – people here definitely know what it is (unlike often in the UK) and seem to be impressed whenever they hear about it because it is so broad in its science scope. D espite a lot work, life can still be enjoyable! One of the things that make me most happy here is the amazing campus area, which is very spacious and green (I just can’t wait for spring!) and literally lies on L ake Michigan (not that many universities have their own sailing club and a dock). 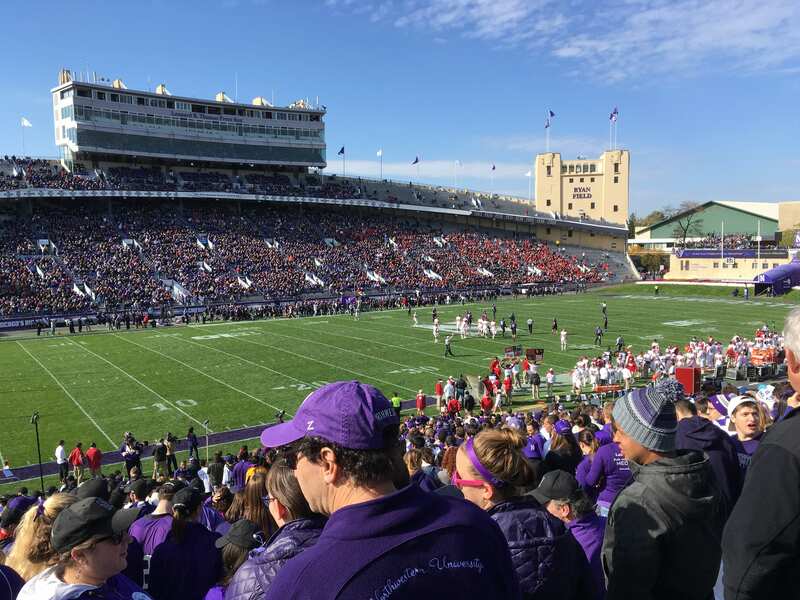 The main campus is located in Evanston, a northern suburb of Chicago, and the second one with RIC and the school of medicine is around an hour away in Chicago downtown. 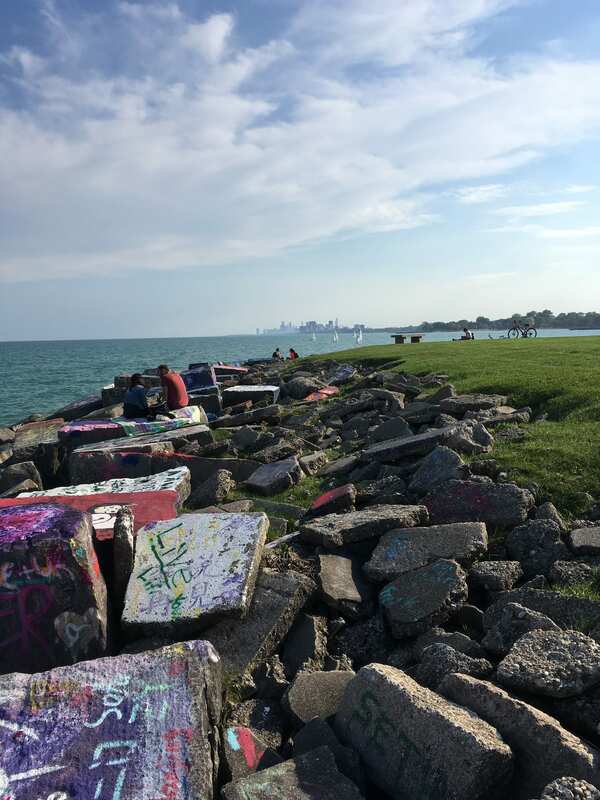 Because of this, most of the student life revolves around Evanston campus – the whole university experience is quite different from the one we have in central London. The campus life, along with university sports (which are taken very seriously! ), is probably what really brings people together and gives this great sense of community and pride in the school one can feel at American universities. Student life is quite different here and takes some time getting used to, but it does have its own perks. Sometimes I miss London with its big-city, hectic lifestyle, but at this point I think I will soon miss the American life too. Spring and summer will hopefully not make me fall in love with Chicago too much, as I have heard it does get really lovely here. For the time being, I am planning on not worrying too much and just enjoying these last warm months here to the fullest! On Friday 27th of January, our 2nd year Biomedical Engineering class got the opportunity to visit the Stanmore Royal National Orthopaedic Hospital. The purpose of the trip was for us to gain an understanding of how the clinical environment works and how devices we may help to create in the future fit into real people’s lives. The day began early with a long journey on the tube to Stanmore, on the outskirts of London where the class met. After a short taxi ride to the hospital, we were met by Professor Hart at the London Implant Retrieval Centre (LIRC). Prof Hart is the director of research and development at LIRC and a consultant orthopaedic surgeon at the hospital. He gave us a warm welcome and introduced us to some of the PhD students working there. At LIRC they recover and study knee and hip replacement implants that have been removed from patients to better understand why they failed. We were shown the processes these implants go through once they arrive, from cleaning to being scanned for wear and deformation and got to hold some actual implants. It was very interesting to see how something that we learn about in lectures actually looks and feels in real life. Then the lovely people of LIRC kindly provided us with lunch with their team. 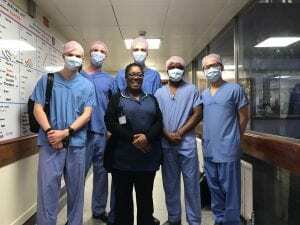 This was a good chance to chat to the people who work in the hospital and get a better insight into the kind of jobs available that we might be interested in once we graduate. After lunch, we were split into smaller groups; some went to watch the surgeries while other went to sit-in with the doctors and their patients for real consultations. We swapped after 1.5 hours. We were brought to the surgery area to be able to see a real operation taking place. 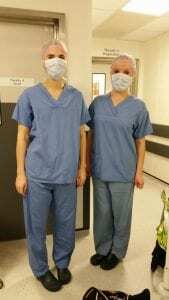 Before entering the operation theatres, we changed into scrubs. We were then separated into pairs and entered different theatres. Among all of us, we saw a range of operations including hip replacements, knee replacements and one ankle-foot correction surgery. We were told that the ankle-foot surgery is one of the most complicated and delicate procedures. The doctor that took us in even made a joke about how he avoided it. They used x-rays during that operation so we had to wear a lead apron to protect ourselves from the radiation. Some others of us saw the removal of implants, which was completely opposite of what the others saw. It was interesting to be able to discuss our different experiences at the end of the day when everyone was together. 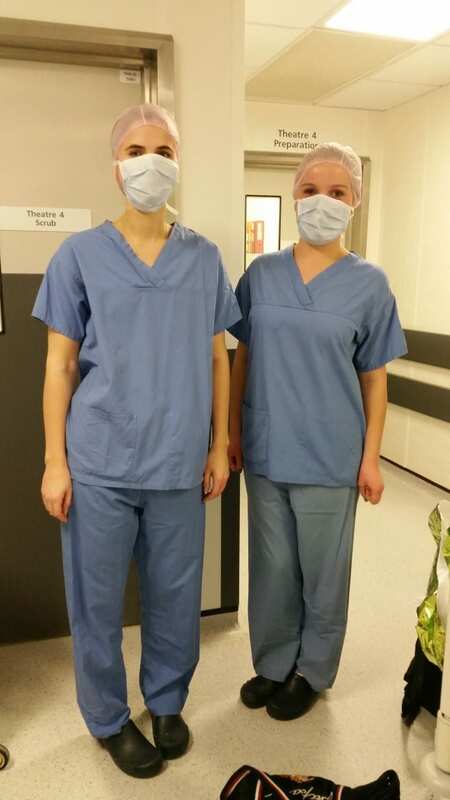 Within the operating theatre, the surgeons explained to us what and how they were performing this surgery. Most of us were surprised by the atmosphere in the operating room. It was very relaxed with music playing in the background. The anaesthetist was reading his Kindle; the surgeons were even able to have a conversation and joke about their family while operating on the patient. It was surprising to see how calm and confident they were. Due to the time constraints, none of us were in there for the whole process which was a pity because we all really enjoyed it. The consultation sessions were an eye-opening experience too. We had the opportunity to sit through a few consultations with an orthopaedic specialist doctor, and see how they interact with their patients. All patients had very different reasons to be there, so we got to see various cases, the medical images used, and procedure followed. After sitting through the consultations, we now have a better understanding of what doctors go through when seeing patients and it definitely is a very difficult job. It’s not all smiles, hellos, reassurance and prescribing treatments as some people would think. In reality, they are potentially the ones who would be telling you how you would live out the next 10-20 years of your life (in our case, with hip/knee replacements, constant rehab, medication and so on). They have to always maintain professionalism and courtesy no matter how their patients react to whatever they tell them; even answer questions about their other concerns whether or not it is related to the real reason they came in for the consultation in the first place. The most important take-away I had from the session was that the doctors should let the patients leave with the best reassurance they can provide. We all had a great day and learnt a lot about working in a clinical setting and working with patients. We would like to say a massive thank you to a ll of the people at Stanmore hospital who helped in making this day happen! What a day and what an experience!